Our primary focus is to give your child the best care possible, while sharing vital health-related information with you to further improve your child's health. "I get to care for the families in this community that I’ve gotten to know over the years. It allows me to serve the community I grew up in and be a part of the families of Flagstaff." "Working with kids allows me to make the biggest impact on their health over a lifetime." "I am dedicated to improving health and social justice for children by promoting health and preventive interventions at an early age." New patients are welcome at Flagstaff Pediatrics! We would love to care for your kiddo. From well-child visits to sports physicals & chronic disease management, we're here for you and your family. From pregnancy to postpartum and child development, we're here to support you through your parenthood journey. Call our office or request an appointment online. 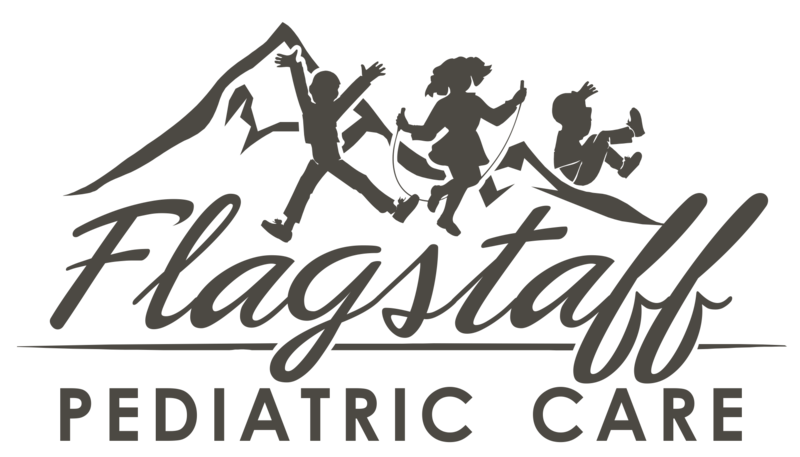 Flagstaff Pediatric Care (also known as Flagstaff Pediatrics) has cared for the children of northern Arizona for more than 50 years. Our providers have taken care of three generations of families, with our very first patients now bringing their children, grand children and great-grandchildren to our practice. We care for children from the day they are born to age 21 and offer a variety of services to keep your kids healthy. Services include, but are not limited to: newborn care, adolescent care, well-child visits, breastfeeding support, immunizations, management of chronic conditions, allergies, asthma, sports physicals and more. pre-pregnancy to postpartum and beyond. Thank you for the opportunity to provide high quality, personalized care for your little ones. We look forward to seeing you in the office soon! Periodically we send out emails to our subscribers with information about upcoming events, general news, and tips on living healthy lifestyles. We’d love to have you join. Simply fill out the form below, click the submit button and look for your email confirmation. We promise not to spam you and take privacy very seriously. Flagstaff Pediatric Care is an affiliate practice of North Country HealthCare. As an affiliate there will be no changes to our operations and we will have the same great staff, location and hours. If you have other questions, please ask to speak to the practice manager. We also provide on-call after hour services for current patients.